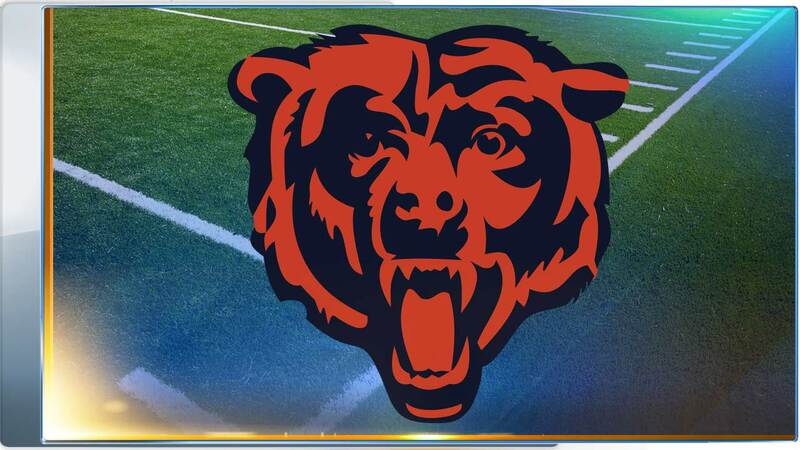 CHICAGO (WLS) -- The Chicago Bears will open their 2017 regular season against the Atlanta Falcons at Soldier Field. Single-game tickets go on sale April 24. SINGLE-GAME TICKET SALES: Single-game tickets will go on sale through Ticketmaster on Monday, April 24 at 11:00 am CT.
KICKOFF WEEKEND: The Bears own 54 opening-day victories overall (54-38-5, .582), tied for the most by any NFL franchise (Green Bay; 54-39-3, .578). BEARS OPEN UP 2017 AT HOME AGAINST ATLANTA: The Bears open the regular season schedule at home for the seventh time in eight seasons after opening 2016 at Houston. The last time the Bears played the Falcons at home was Week 1 of the 2011 season. The Monsters of the Midway defeated the Falcons 30-12. The Bears have kicked off the NFL season against Atlanta three times time dating back to 1966, with all three of those games taking place at Soldier Field. Chicago owns a 1-2 record vs. the Falcons on opening day. FAMILIAR CLOSER: The Bears close out the regular season with a trip to Minnesota for the second consecutive season and for the third time in the last four seasons. The Bears have closed out the regular season against the Vikings nine times in club history, with Minnesota holding a 6-3 edge. BEARS SCHEDULED TO PLAY TWO GAMES IN PRIMETIME: The Bears are scheduled to make two appearances on primetime television during the 2017 regular season, with both coming in the first five weeks of the season. In a repeat of last season, the Bears travel to Green Bay to take on the Packers on CBS/NFL Network's Thursday Night Football, followed by a home game on ESPN's Monday Night Football against the Minnesota Vikings. The Bears went 1-1 in those games last season. Week 4 will mark the fifth time in team history, and third consecutive season, that the Bears and Packers have met on a Thursday, with all four of those games taking place at Lambeau Field. The Bears hold a 2-2 record against Green Bay on Thursdays. When the Vikings head to Soldier Field Week 5, it will mark the 14th time the Bears and Vikings have met on Monday night. The Bears are 7-6 against the Vikings on Monday night overall and are winners of the last three Monday night meetings. The Bears are 30-37 all time on Monday Night Football (16-13 at home; 14-24 on the road) and 5-6 on Thursday Night Football (2-1 at home; 3-5 on the road) during the regular season. BEARS SET TO TRAVEL 8,300 MILES DURING 2017 SEASON: The Bears will travel a little over 8,300 miles during the 2017 regular season. BEARS BATTLE TEAMS FROM NFC SOUTH & AFC NORTH DIVISIONS: Chicago will square off against all four teams from the NFC South and AFC North this season. The Bears own their best two divisional win percentages against the NFC South (.595) and AFC North (.586). The Bears are 72-49 all-time against teams for the NFC South. Chicago last faced all four teams from the NFC South in 2014, going 2-2 in those contests. This will be the fourth consecutive season the Bears will face-off against the Buccaneers, tied as the team's longest active streak against a non-divisional opponent, going 2-1 since 2014. Chicago is 34-24-1 all-time against teams from the AFC North. Chicago last faced all four teams from the AFC North in 2013, going 4-0 in those contests. BEARS WELCOME BROWNS/STEELERS TO SOLDIER FIELD FOR FIRST TIME SINCE 2009: The Bears host the Cleveland Browns and Pittsburgh Steelers at Soldier Field for the first time since the 2009 season. 425 weeks have passed since the Browns last regular season trip to Chicago, while the Steelers haven't made the trip in 418 weeks. Those are the two longest droughts of any opponent visiting Soldier Field. BEARS TRAVEL TO BALTIMORE/CINCINNATI FOR FIRST TIME SINCE 2009: The Bears end their two longest road droughts this season, traveling to Baltimore to take on the Ravens for the first time in 408 weeks and Cincinnati to face off against the Bengals for the first time in 424 weeks. BEARS VS. TEAMS VISITING SOLDIER FIELD: The Bears hold a 7-1 record against their 2017 opponents in their last visits to Soldier Field, with the only loss coming against Green Bay (12/18/16).